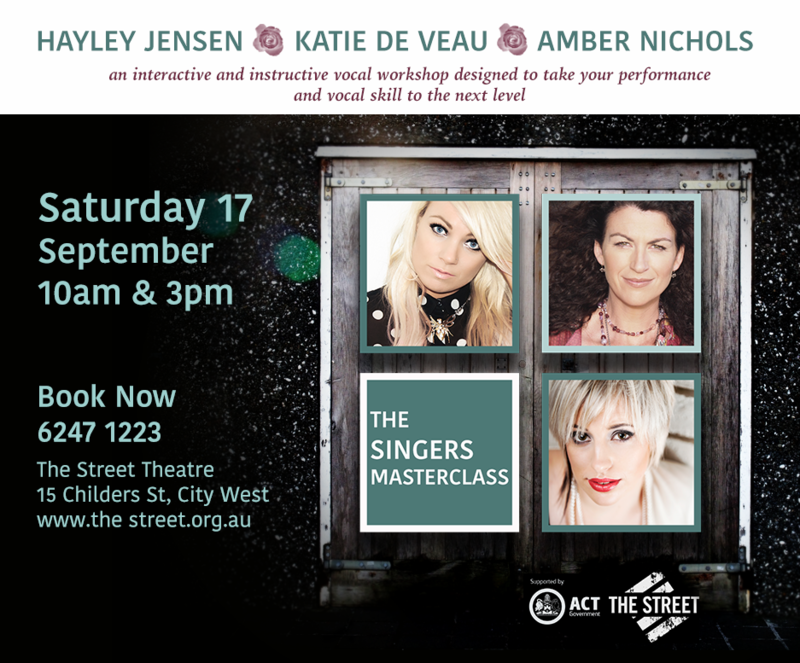 The Singers Masterclass is an interactive and instructive vocal workshop designed to take your performance and vocal skill to the next level. Attendees will observe live performances and have the opportunity to participate in the application of correct vocal technique, explore stage craft, develop the skill of vocal care, and hone the art of communicating with an audience. Together, Amber Nichols, Hayley Jensen and Katie de Veau bring a wealth of performance experience both internationally and at home. Ranging from intimate theatres to stadiums, and including appearances on The Voice, Australian Idol and Foxtel, these artists come ready to encourage and share their experiences with emerging talent. Backed with nearly 20 years of vocal training and experience, the Singers Masterclass provides the tools and techniques for up and coming singers and seasoned performers alike. When you click this button you will be directed to the ‘The Street’ website.